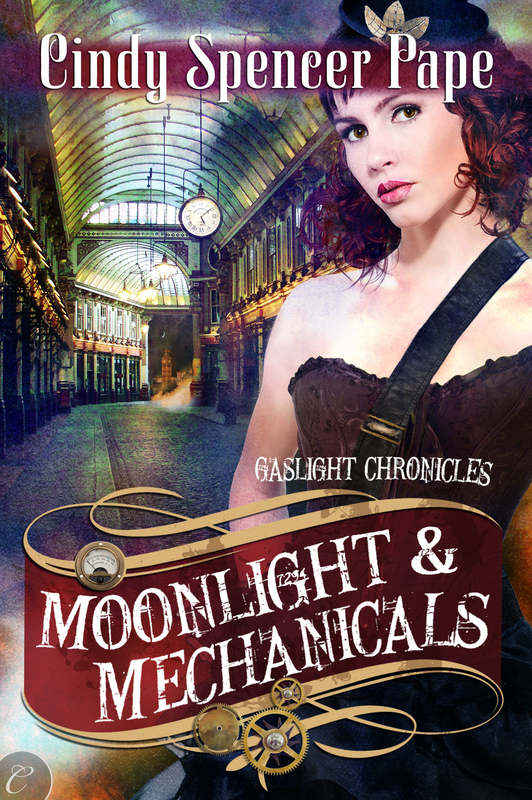 Here is the cover for Moonlight and Mechanicals, a Gaslight Chronicles novel, coming October 22 from Carina Press. Now those readers familiar with the Gaslight Chronicles might wonder why Wink, who hates corsets with a passion, is not only wearing one of the infernal devices, but isn’t wearing anything else over it. While a lady who works with machines for a living might be seen in coveralls, she’s still too much of a lady to ever appear in public in her undergarments. This, I think illustrates one of the problems with the label steampunk. In an alternate history world, there’s always the question of just HOW alternate everything is. In the Gaslight Chronicles, technology and certain social mores are more advanced than they really were in the 1850s, but fashion and most of society is fairly authentic. However, I believe for marketing purposes, the publisher has decided to use a more contemporary steampunk vision on the recent covers. I’m truly curious to see if this works. So any thoughts on this from the readership? 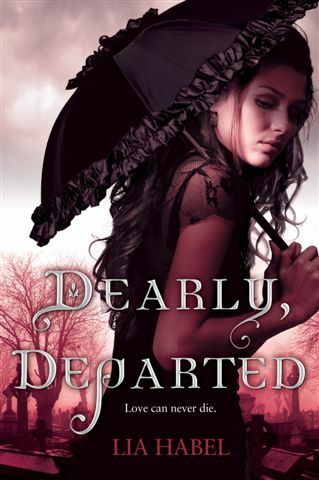 Do you like to see your steampunk characters in Victorian ruffles, or modern daring? Something in between? I’d love to know how people feel about this. It’s book Monday! For those new to Steamed, Book Monday is an occasional feature where I talk about a (usually) Steampunk book I really enjoy and think you will, too. 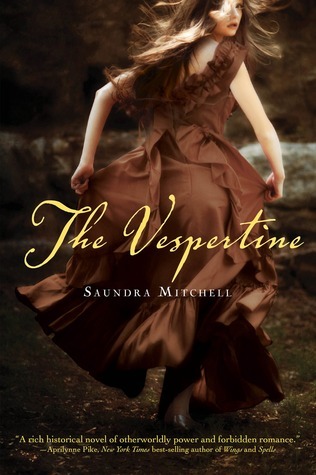 The Vespertine isn’t Steampunk, it’s a Victorian historical. I was attracted to it because it’s about Amelia, who goes to Baltimore for ball season in Baltimore in 1889 in order to make a good match. 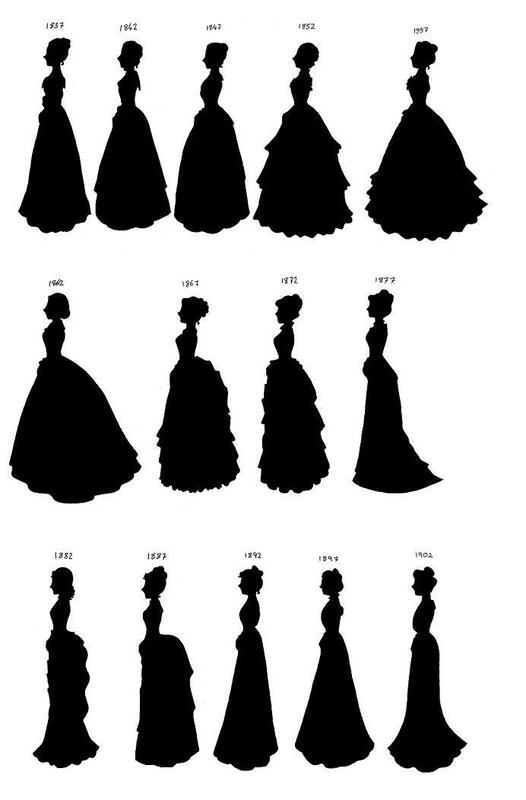 I *adore* balls and fluffy Victorian dresses. But this isn’t some light, fluffy story. No, the balls and dresses simply set the stage for a lush historical tale of longing, social games, forbidden love, and just a hint of magic. Yes, I just used the “m” word. I wasn’t expecting a paranormal element, but for me it added so much depth to the story. Amelia starts getting dreamlike, and sometimes disturbing, visions at sunset. At first, these visions skyrocket her popularity, as she only has months to meet the right people to make the right match. But soon her visions start coming true, and when the darkest things she sees happen, there’s no turning back and could ruin everything she’s come to Baltimore to achieve. The Victorians did love their visions and esoteric mysteries so this paranormal element meshes very well, making it really (to me) a historical with paranormal elements rather than a full-on Victorian fantasy or even Gaslamp…though the mysterious Nathaniel bring it awfully close to Gaslamp territory (and I do love me a good Gaslamp). Who doesn’t love a good story about forbidden love? Amelia meets Nathaniel at a party. But Nathaniel isn’t there to make a good match, like she is. He is an artist who hires himself out at a “fourteenth”, so there’s never an unlucky thirteen guests. Nathaniel and Amelia are instantly attracted, and of course, a poor artists isn’t the type of guy she was sent to find to marry in Baltimore. But this isn’t as typical of a story-line as you might think. 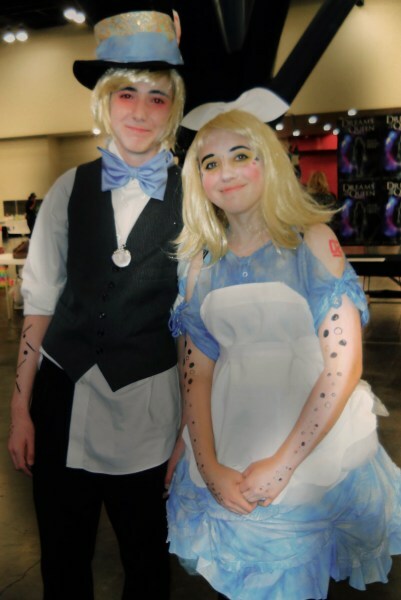 There relationship is complicated, and even though the attraction is there from the start, they have to work to develop it, making the relationship portions of the story very fresh and intriguing. Amelia is a great character, not an insipid Victorian socialite, but a rather plucky, independent girl who’s sent alone to her cousin’s to experience the wonders of the big city and the decadence of ball season, wonders she’s never seen before, which lends to some great moments. Imagine what it might be like to see a big city for the first time, or go to your very first ball wearing a ridiculously beautiful, extravagant gown by the lkes you’d only seen before in magazines? Then imagine discovering you have abilities that could, if exploited right, help your social standing, brining you into contact with all the “right” girls? And what about falling in love? Or the fear that one wrong step, like even being in the same room alone with a man, could lead to your ruin? Or that the man you love is not one you could marry? The whole tale is richly woven, textured, and decadent, like a really good chocolate truffle. The tale very lyrical and I devoured most of it in one sitting. There are no automatons or rayguns, and fans of action packed stories may find it oddly quite (but not boring, her attention to detail and compelling story see to that). Overall, this is a very compelling read. The end will take your breath away.